A multi-day Music program to teach and promote Diversity, Tolerance, Bullying Prevention, and Being Kind through Music and Mindfulness practices. 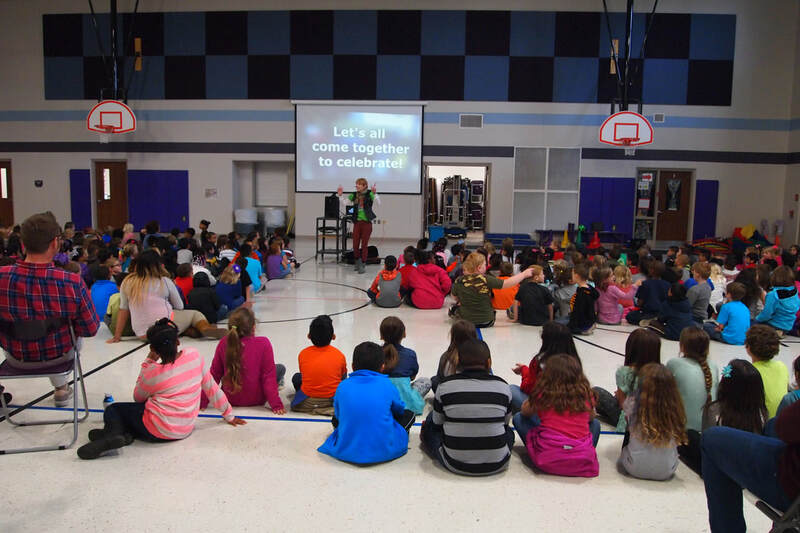 The social emotional learning curriculum is presented by singer/songwriter Susan Picking, and culminates into an interactive musical performance for the whole school. Mindfulness training teach​es children breathing and meditation techniques, and introduces gratitude practices, to create internal calm. These practices can help children access inner calm in stressful situations at home, at school, in the lunchroom, and on the playground with the intent of skill transference across situations. Mindfulness teaches children to be kind to self, nurtures self esteem, and develops resiliency. This manifests in kind classrooms, schools, and communities. This creative and innovative approach presents this topic with memorable lyrics, fun rhythms, pertinent activities, and role playing. It offers children a discussion opener about bullying, teaches social emotional learning tools to address the school social climate, and encourages an environment of tolerance while creating a caring community. Susan Picking works with each grade individually. She will teach each grade level a song that is appropriate for their age and development. Each grade presents and leads this song at the musical performance. Picking performs and sings along with them. The children also do activities that illuminate the topic and meaning of the songs. Depending on the size of the school determines the days required and the break down of the class workshops. The School of Life CD is being released in 2016. The recording was produced WITH and FOR kids. 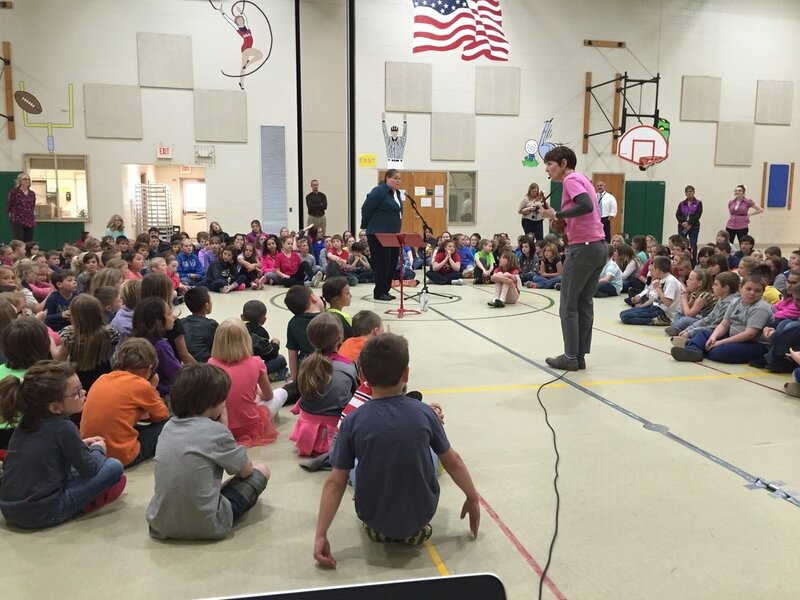 The Project was recorded in both Michigan and Vermont and hosts children from both states. The songs are message-driven with pertinent issues and arranged in various genre from Hip Hop, Pop, Reggae, Jazz, and Americana. In addition to the social educational content this program offers an introduction into diverse musical genres and educational content. DiverseCity - A song about how our differences don’t matter, but how important it is to come together and co-exist peacefully. There is Only One of You - A song celebrating our uniqueness. Encouraging kids to find their passion and gifts and offering those as their gifts to the world. No Bully - A song with a repetitive chorus "No Bully" to embolden children to stand up for themselves and others being targeted. Each verse offers a way to combat bullying. Bystander - A song about the role of a bystander and tools to navigate this role. Be Kind - A song to remind us to be kind, be nice, be love, and believe in ourselves. The multi-day residency spent teaching the songs to the kids culminates in a live musical performance. The assembly can either be performed with a background karaoke track, a live band, or a combination of karaoke and live musicians. The assembly is laid out to present an impactful message of teaching Tolerance of our Diversity, Celebrating our Uniqueness, Confronting Bullying, Encouraging Inclusion and Being Kind through Mindfulness. Each grade will lead the school in the song that they learned, including role play, videos, and activities. The whole school is involved in the presentation which gives them ownership in sharing this message which. The memorable lyrics give children a positive message mantra that will continue to dance through their heads. This Musical Program can be offered for parents in the evening, which helps develop a greater community of support and caring beyond the school walls and playground. The intent is to drive behavior change to encourage children to become positive citizens in creating their positive school environment and community. Susan is an educator, multi instrumentalist, award winning singer/songwriter who has released 4 CDs. She has 15 plus years of working with children in educational, recreational, and therapeutic arenas. Picking’s Passion for Mindfulness extends to teaching these practices to children. She has studied the Foundations of teaching Mindfulness through Mindfulschools.org. Picking offers interactive programs in Schools, Children’s Museums, Libraries, and Festivals. Her BA is in Broadcast Journalism from The University of Wisconsin and completed a Psychology Concentration at Metropolitan State College of Denver. Picking earned certificates in Vocal Performance and Songwriting from the Commercial Music School at Long Beach City College, Long Beach, California. She currently resides in Beloit Wisconsin. * Discounts Available for multiple schools within a district, or bookings in the area. * Please contact susan picking for financial needs, specific program needs,and ideas. Dr. Amy Beck, Pediatrician President of Bright Start Pediatrics, Hastings, MI (abeckmd@gmail.com ) "Susan Picking’s music is contagious, toe-tapping and also happens to bring along a positive message! Some of the topics she highlights in her musical teachings are diversity, kindness and bullying prevention. As a pediatrician, I know that not all children are lucky enough to have music instruction in their elementary years. When Susan has the opportunity to work with children to share her love of music in a fun, silly but inspiring way; kids learn, kids sing … and listeners get to truly feel the power of music!" Lynn Lonsway, Executive Director,International Bullying Prevention Association, www.ibpaworld.org(lynn@ibpaworld.org) "Susan has performed to kick off our International conference with her inspirational music and I have had the opportunity to see her working with youth of all ages and backgrounds, they truly connect with her. It is a pleasure to work with Susan; the bullying prevention field is fortunate to have someone of her caliber working in schools across the US making a positive impact." “Susan Picking began performing and teaching in my second grade classroom at Todd Elementary School in Beloit, at the beginning of this school year. Her program, The School of Life, is just that. It teaches kids strategies that they all deal with in their day to day life. My students love her songs and most importantly the messages behind them. They know many of her songs by heart like “Be Kind” and “No Bully” and love to sing and dance and perform with her. Her music and message is catchy, positive and uplifting and helps kids to feel confident about delicate situations, like standing up to a bully. One of my students even made a “No Bully” poster for our hallway, after her last visit, all on his own with no prompting from me. The best part is that this kid is a bit of a reformed bully himself. “School of Life by Susan Picking instills in our children to be proactive in supportive, compassionate ways to negate bullying from ever happening. Powerful lessons which will be with them throughout time! There is no better way to teach the lessons of the School of Life, than through the lyrics and music created by Susan Picking. Our gymnasium was transformed into a performance hall with all of our 420 students singing with grade level peers to the other members of our school community. ​Emily Seifert - Parent ,Montpelier VT "I've really appreciated the positive, kind, and inspiring messages in her songs. Every time I listen to her CD, I end up with a happy smile on my face. Thank you Susan for sharing your radiant light with us through your music."